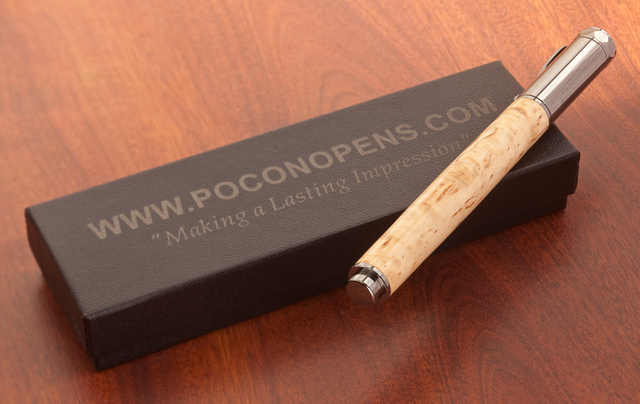 A couple of weeks ago, Brian Evichin gave me a hand-made pen. I finally had the time to post photos of it. The cap is magnetic and snaps on to either end of the pen. It’s truly a gift fit for a friend and has been duly forwarded to someone deserving. If you want one of your own, checkout code “olegvolk11” gets you 10% off. 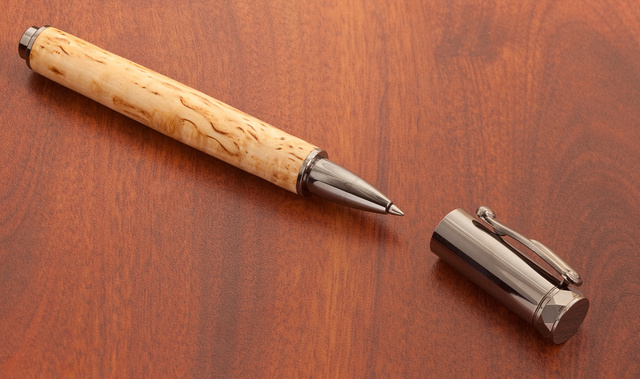 Brian also makes pens out of rifle catridges. 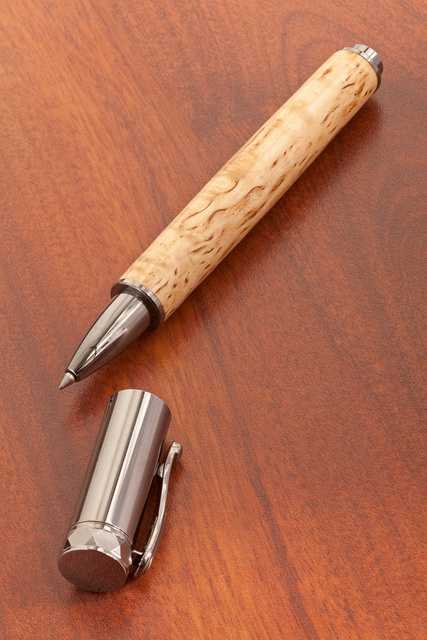 This entry was posted in craft and tagged art, custom, pen, wood. Bookmark the permalink. I’m anxiously awaiting my pen from Brian. Yesterday I got the notification that it was shipped. That is so beautiful. It looks like it needs to be written with. Does he do proper fountain pens, too? @ Gewehr98, I can do cartridge fountains or refillable pump fountains. I can also do dip pens. @ felicia, Thank you for the kind words. I take pride in my work so hearing a compliment such as that always puts a smile on my face. Thanks Oleg for posting and supporting my work, It means a lot to me.. I got the pen – beautiful work!